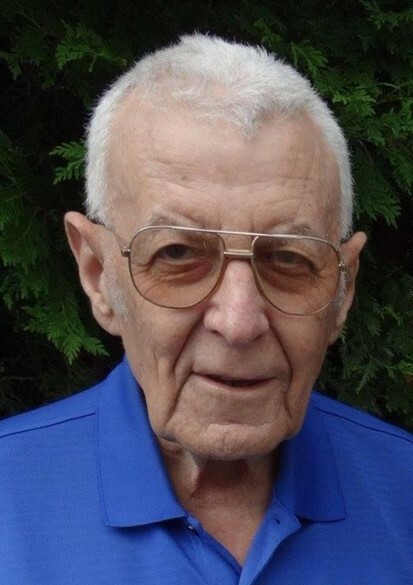 John C. Skovera, 82, of Pulaski, passed away peacefully Monday morning, April 8, 2019, at the Meng Residence of Unity Hospice, surrounded by his family. John was born March 23, 1937, in Alpha, MI, to George and Ann (Suheski) Skovera. 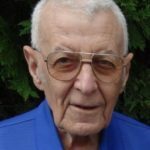 On July 13, 1957, he married Jean Pawlak at Holy Trinity Church in Alpha, the same church in which John served as an altar server as a child. John and Jean began married life in Crystal Falls, MI, where John worked as a truck driver, making home deliveries of dairy products throughout upper Michigan. In 1961, John and Jean moved to Pulaski, where John worked at FWD Corporation in Clintonville and, in 1963, at Industrial Engraving in Kunesh. In 1965, John began his career at Northern Engraving & Machine in Green Bay, where he worked for the following 37 years until his retirement in 2002. He made many friends with his Northern Engraving coworkers and enjoyed working with them. John’s hobbies were building or welding for someone. He helped remodel homes, build cabinetry, and made music stands (one stand is on display at the Historic Museum in Madison). He also enjoyed welding for neighbors, coworkers, family, and friends. Many Mother’s Day and birthday gifts for mom were secretly made by dad and the couple’s four children. His penchant for quality work and his attention to detail were admired by many and passed down to his children and grandchildren. John is survived by his wife of over 61 years, Jean Skovera; four children and their spouses: Dale and Carrie Skovera, Appleton, Carol and Michael King, Hobart, Keith and Maren Skovera, Pulaski, and Pamela and Darral Otto, Pulaski; his grandchildren: Bruce and Jessica Skovera and Katrina Skovera; Kathleen and Blair Erdahl, Rebecca King, and Lauren King; Samantha and Jordan Messersmith and Dalton Skovera; and Gabrielle Otto, Keeli Otto, and Ethan Otto; his great grandchildren: Rowan Messersmith, Nora Erdahl, and Harrison Skovera. He is further survived by one sister and brother-in-law: Grace and Larry Javoroski, Fresco, TX; Jean’s five siblings: Larry Pawlak, Cave Creek, AZ, Frances Gordon, Hampton, GA, Dennis and Diane Pawlak, Mount Prospect, IL, Jerry Pawlak, Griffin, GA, and Ray and Barb Pawlak, Thorp. John was preceded in death by his parents and one sister, Carrie Ann Ermers, Appleton. The Funeral Mass was celebrated at 11:00 a.m. Saturday, April 13th at Assumption B.V.M. Church in Pulaski, Fr. James Esser, O.F.M. presiding.